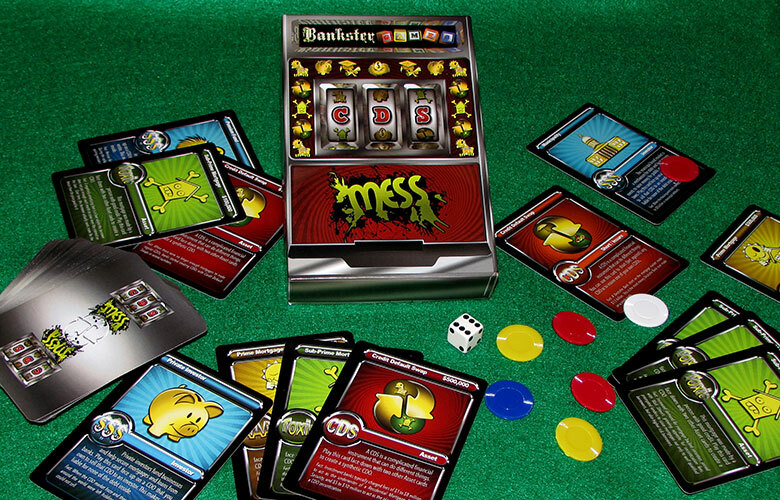 Bankster Games is a collaborative group that creates both digital and analog games designed to explain aspects of financialization that may be difficult for people outside of finance to understand. 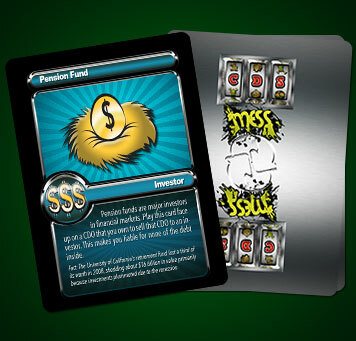 Some of our games focus on specific stories that emerged from the financial crisis, while others are intended to provide a more general understanding of a particular aspect of finance. 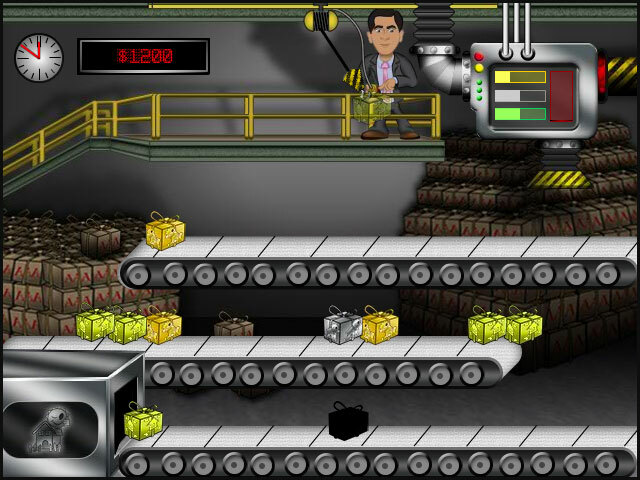 All of our games are available for free, or are sold at cost. 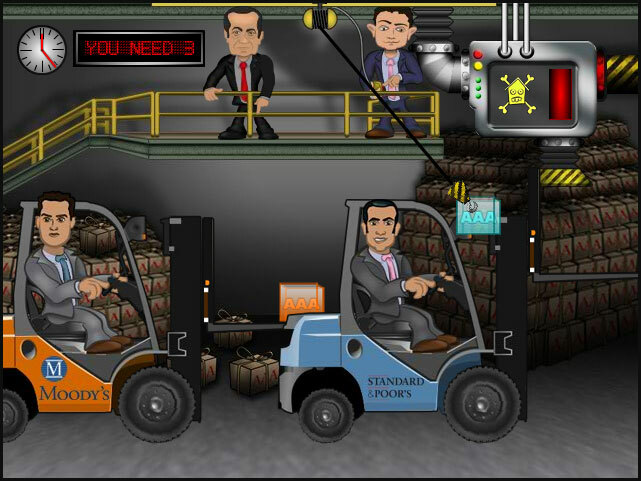 Financial support for Bankster Games is provided in part by the Puffin Foundation. 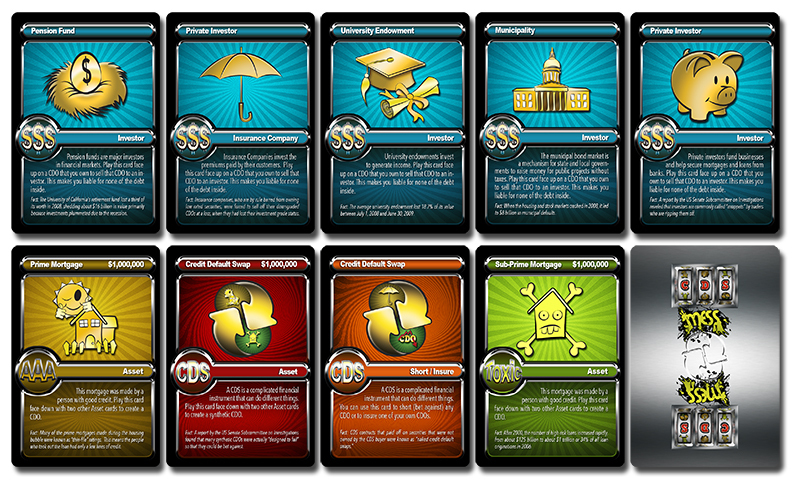 CDS Mess is a card game that replicates how Credit Default Swaps were used by Wall St. banks during the housing bubble. 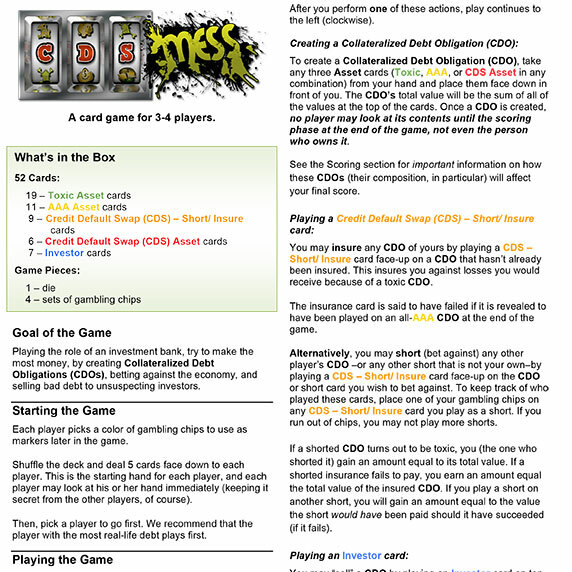 In the game, players construct their own Collateralized Debt Obligations (CDOs) and use CDSs to insure them and to bet against them. 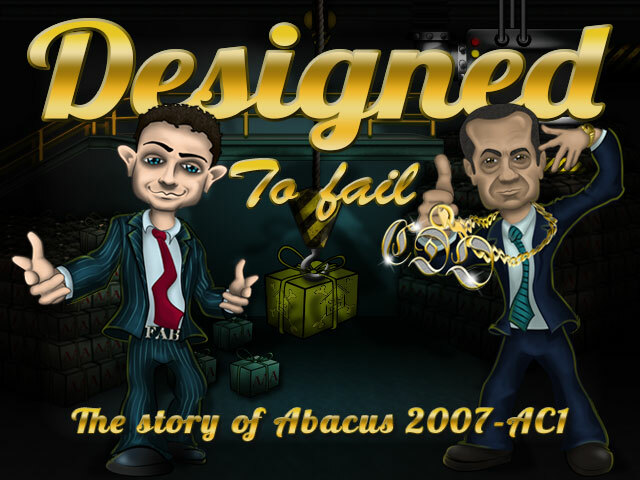 Designed To Fail is the story of a Collateralized Debt Obligation (CDO) named Abacus 2007-AC1. 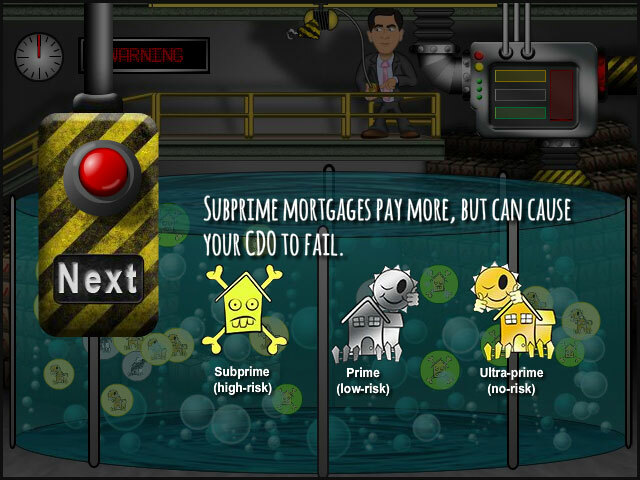 In the game, you learn how regular and synthetic CDOs are made and how hedge fund manager John Paulson and former Goldman Sachs Vice President Fabrice Tourre made a CDO 'designed to fail.' Paulson bet against the CDO while Goldman sold it to investors. 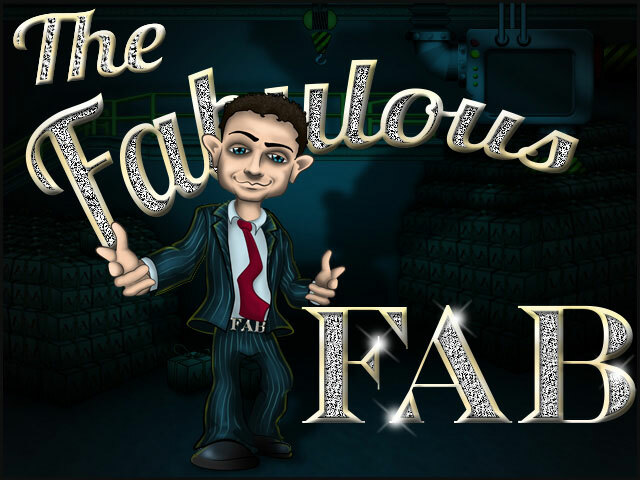 Paulson made roughly $1 billion when the security collapsed, the largest amount made from any single trade in history.